Gothic, vampires... red and black. We got you covered. 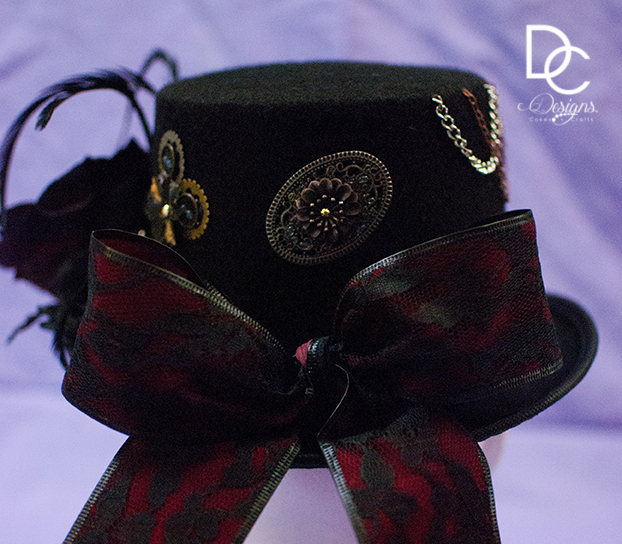 Wrapped with a red and black laced ribbon, this hat will be a great accessory to complete your look. 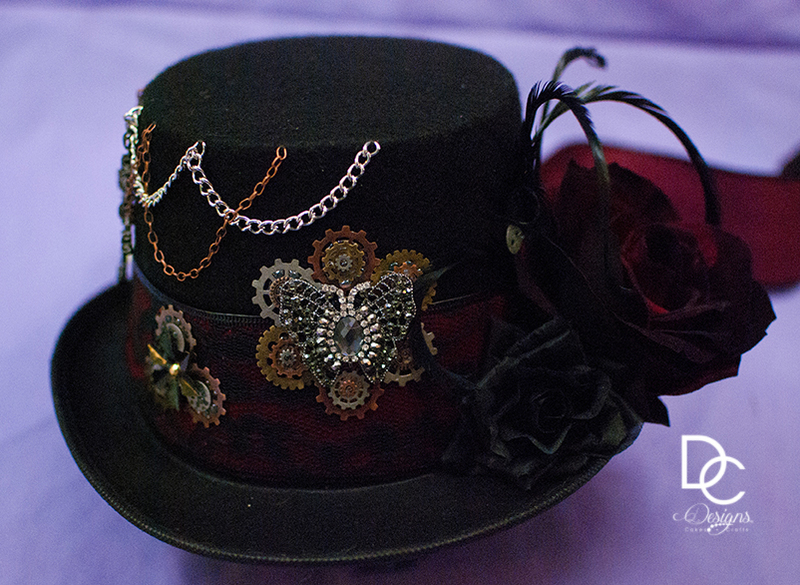 Most of our top hats are 23.5" round and decorated with a ribbon, an assortment of metal pendants. For more accurate sizing or other questions, please ask. 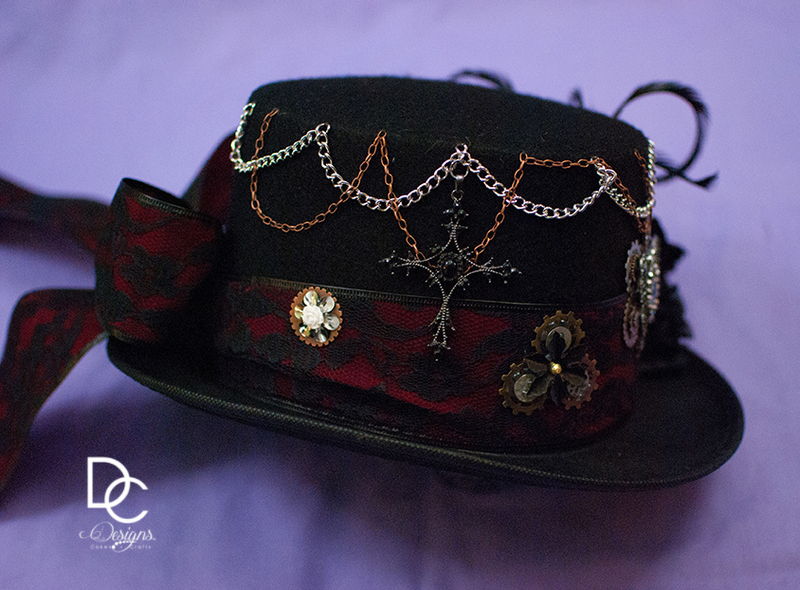 ** Hat is also listed on our ETSY page.